Air Canada is reducing single-use plastics onboard aircraft and in its workplaces as part of the company’s ongoing commitment to curtail waste. Starting this summer, Air Canada will replace plastic with wood stir sticks in drinks served on all flights, a move that will save 35 million plastic stir sticks annually – enough if laid end-to-end to join Halifax and Vancouver. Air Canada’s stir stick replacement will be made of bamboo and certified by the Forest Stewardship Council, which assures products come from responsible sources so that forests remain thriving environments for generations to come. 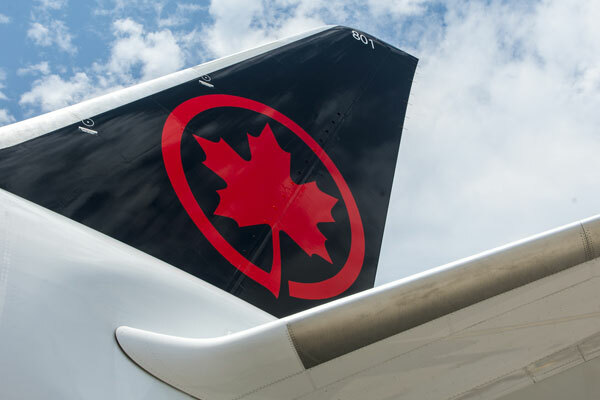 Air Canada’s ongoing plastic reduction efforts also include researching and rethinking important decisions made at various stages of the supply chain. The company is supporting this work in partnership with University of Toronto graduate students in their final year of their Master of Science in Sustainability Management program. The students are working with Air Canada to identify alternatives to plastic use onboard our aircraft. Waste reduction at Air Canada is about more than recycling paper and aluminum cans. For example, since 2016 the airline has partnered with Partners in Project Green to distribute lightly used duvets to social service agencies that assist people in need and other duvets are donated to local kennels. To date more than 13,000 duvets have been donated, equivalent to over 20,000 kilograms of material. Additionally, when Air Canada announced new uniforms in 2017, creative solutions to reduce landfill waste were identified: Employee uniform pieces were donated to Brands for Canada who removed all branding and offered the items to people re-entering the workforce, without the means to purchase new clothes, and hoping to begin new careers; Uniforms shredded and re-purposed into stuffing for punching bags that were donated to community centres, converted into alternative items such as automotive stuffing or incinerated to generate energy.